The BC Coroners Service hopes the public can help identify a man found dead on Valdes Island last year by looking at his tattoos. 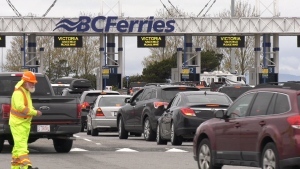 The man's body was found on the shores of Valdes, just south of Gabriola Island, on June 23, 2018. He's described as being 20 to 40 years old with light skin, short black hair, approximately 5'10" and is believed to have been of average build. The man was wearing green shorts, a small red-and-black tartan fleece shirt, distinctive bullet necklace, Texas-style belt buckle and a "Donate Life" silicone wristband when he was found. But most distinctly, the man had several tattoos on his body that the coroner hopes someone will recognize. 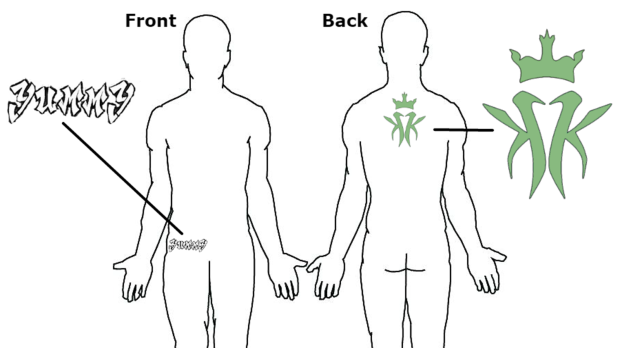 He had a tattoo of the logo of hip-hop group Kottonmouth Kings on his back, and a graffiti tattoo of the word "Yummy" on his lower right abdomen, according to a diagram released by the coroners service. Anyone who recognizes the description of the man or who has information about his identity is asked to call the BC Coroners Service Special Investigations Unit at 1-877-660-5077 or call Gabriola Island RCMP at 250-247-8333.